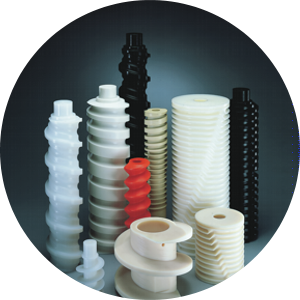 Plastics for industry | AK Plast s.r.o. We offer a very wide range of plastic sheets, rods, profiles, bars and other parts for various industrial applications. 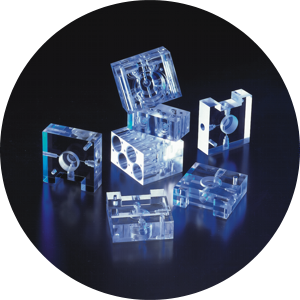 We supply plastics in different fields, namely chemistry, galvanotechnics, machine engineering, automotive, mining, glassworks, textiles, electronics, pharmaceutical and health care industry, food and beverage production, consumer goods, farming, construction and utility works etc. PP (polypropylene), PE (polyethylene), PE-HD, PE300 (high density polyethylene), PE-HMW, PE500 (highly molecular polyethylene), PE-UHMW, PE1000 (ultra-highly molecular polyethylene), PVC-U, PVC-C (hard), PA6, PA66, POM-C, PTFE, PMMA, PC (polycarbonate), PET, HIPS, ABS, PVDF, PSU, PEI, PEEK and many more. 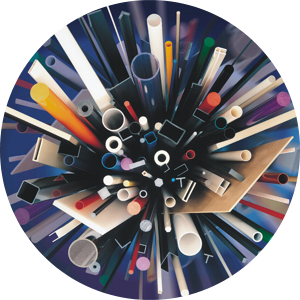 There are more than 40 types of plastics in various modifications in our offer, some of them antistatic. All the products can be supplied in a wide range of sizes and colours. Manufacture of plastic tanks for chemical industry and galvanotechnics, accumulation and reservoir tanks, welded parts, plastic HVAC, manufacture of machined parts, sliding and covering bars and profiles, parts of conveyor belts, hopper lining, machine and equipment covers, displays, vacuum formed parts and products, blister packs, panelling, sheets and strips for floor and wall protection , tailor-made rack and shelve systems, work desks, butcher blocks, bus stop linings, noise barriers, flood control barriers, running boards for construction machines and many more.